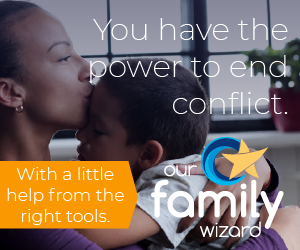 One of the issues many people are faced with during a high conflict divorce and child custody situation is obtaining important information. This information may include educational information, medical information, extracurricular information, and so very much more. Many of the targets of the high-conflict ex come to use exasperated by their inability to obtain information to which they are legally entitled, even when it is specifically spelled in the child custody order in great detail. My thought would be to see if there isn’t a different way to solve your problem. Remove your high conflict ex-spouse from the gatekeeper role by going straight to the source of information. You go directly to the doctors, dentists, schools, etc. Take your court order, and insist that they comply with it. Continue to document every violation of the child custody order by your high conflict ex-wife/ex-husband. This includes places where she has illegally blocked you from exercising your rights in the child custody agreement. For example, many ex-spouses will lie and tell the school that there is a restraining order, and no matter what the Mom/Dad says, the school doesn’t want to get in the middle of that. So, document that. Even better, get a statement from the school explaining why they are blocking access. Documentation, and Collection of Evidence –That’s Step 2. Then, sit down and summarize how your ex-partner’s actions are interfering with the relationship between the children and you. Let me re-emphasize the importance of couching this in terms of the benefits for the children. If you approach the court as a victim who didn’t get his “fair share” of the kids… You will likely not be heard. I really think this is where most non-custodial parents go wrong. You have a tendency to make it all about what’s “fair” for you, and what’s “just” in terms of the rules. Make it about your kids!!! Step Four is deciding what remedy you would like from the court. What do you want the court to do? Throw your ex in jail? Take money away? Take the children away? Again, think in terms of what is best for the kids. Lastly, once you’ve got these items put together, see an attorney. Ask about filing the proper motion in order to ask for your remedy. Is it a motion to modify? A motion to rule on contempt? A clarifying motion? A motion to enforce? Your attorney should be able to help you understand your next steps legally, in terms of what makes sense in your court/jurisdiction. In addition, your attorney should be able to tell you what additional material — evidence, etc. — you can gather, to help build your case. If you don’t have the kind of attorney that you can work with in this way, then keep looking around until you find one.